NVIDIA’s GeForce 700 series “Enthusiast Roadmap” has been leaked which details the upcoming GeForce GPUs including GTX 780, GTX 770 and GTX 760. NVIDIA’s GeForce 700 series lineup is planned for launch next month. According to the leaked roadmap, the GeForce 700 series would the flagship GeForce GTX 780 featuring a new GK110-300 A2 GPU and would be equipped with a 3 GB GDDR5 memory running across a 384-bit wide interface. It would feature 2496 Cores, 208 TMUs and 40 ROPs and would launch on 23rd May 2013. Pricing is expected around the $599-$699 range. The cooling scheme would based off the GeForce GTX Titan design which was revealed yesterday. Next in line is the GeForce GTX 770 which as expected would be based on the GK104-425 GPU featuring 1536 cores, 128 TMUs, 32 ROPs and 2 GB GDDR5 memory running across a 256-bit interface. It is expected at the end of the month on 30th May 2013 with a price range around $399 – $449. 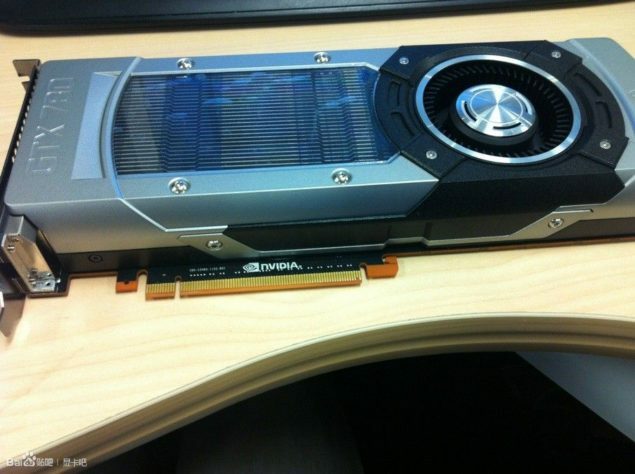 Just like the GeForce GTX 780, the GTX 770 would also feature the same cooling design as the GeForce GTX Titan. Last up in the upcoming GeForce 700 series is the GeForce GTX 760 TI which is positioned equal to the GeForce GTX 760. Performance would end up close to the GTX 670 with new drivers ready for the upcoming lineup. The GPU would be based on the GK-104-225 architecture featuring 1344 Cuda cores and a 2 GB GDDR5 memory running across a 256-bit interface and priced at $299. The GPU launches in the first week of June at Computex 2013.